This July it will be 45 years since the passing of the rock legend, Jim Morrison. 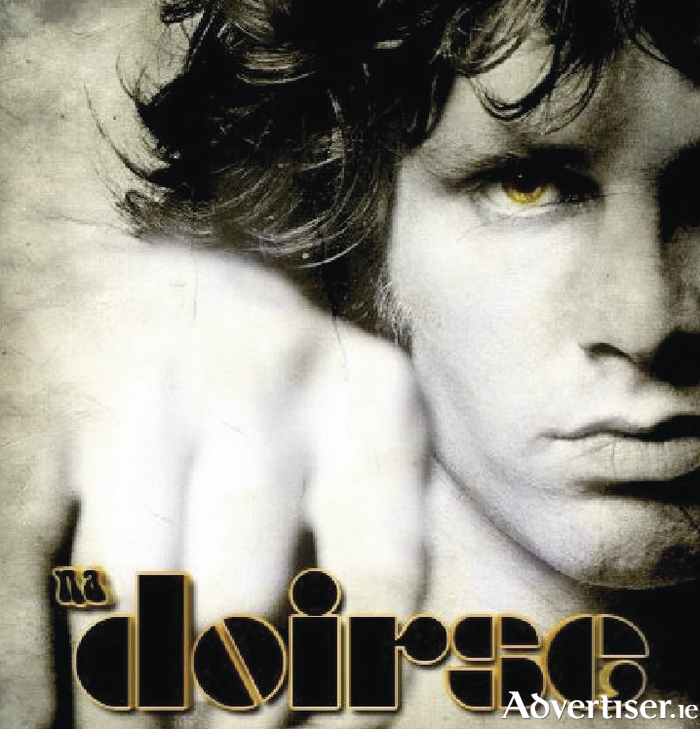 Jam Shugar will be hosting a tribute night to Morrison on Saturday, July 2, with Mayo band, Na Doirse. Na Doirse are best described as an impeccable recreation of one of the most influential bands of the past 50 years. The lead singer reincarnates Jim Morrison’s swagger and charismatic stage persona. Expect to hear cult classics from one of rock’s most loved repertoires, including 'Riders on the Storm", "Light my Fire", "LA Woman" and "Strange Days". The group hails from Foxford and Ballina and has been performing for more than 16 years, honing the psychedelic rock sound of The Doors. Fans of the original group will not be disappointed. Supporting them on the night will be Hotrock, a Castlebar based band covering classic rock acts such as Thin Lizzy, Jimi Hendrix, Cream, Deep Purple, and more. The hosts, Jam Shugar, will be playing your sixties favourites with the talented Julianne Hennelly on vocals and award winning song writer Aidan Bolger on guitar. Doors for this event open at 9pm. Admission costs €6 if you attend before 10pm. To be in with a chance to win some great prizes follow Jam Shugar on Facebook. Prizes will be raffled on the night but will not be held for the winner if he/she is absent.